A fifth title was planned but never saw the daylight: Monster Ancient Cline. 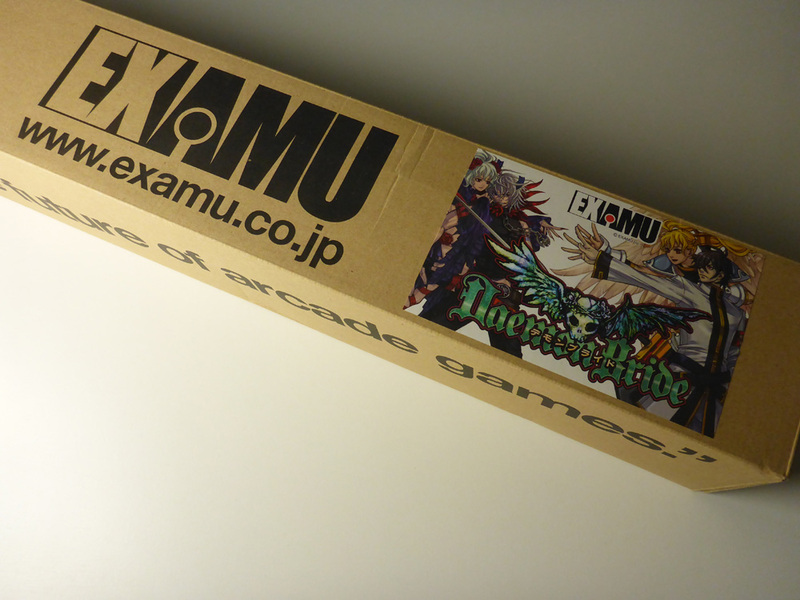 Examu pushed the ex-BOARD as their own proprietary arcade platform under the slogan “For the future of arcade games.”. 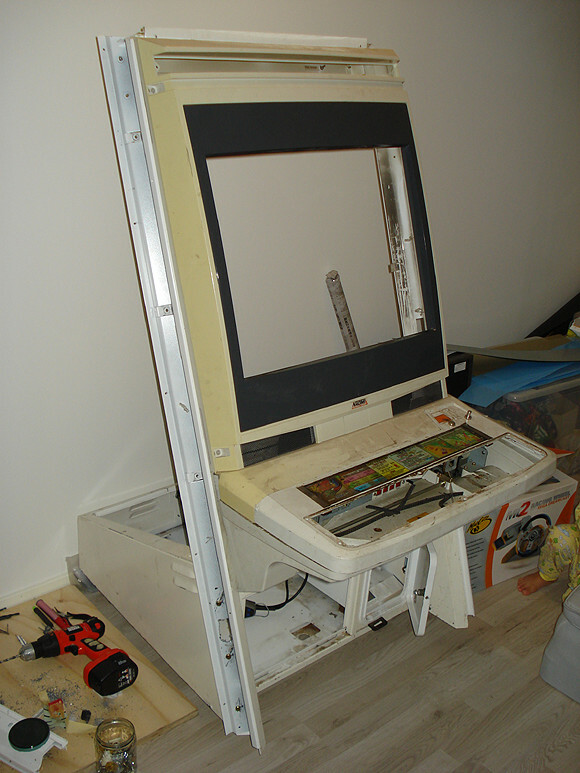 The system had many similarities with Taito’s Type X2 system. 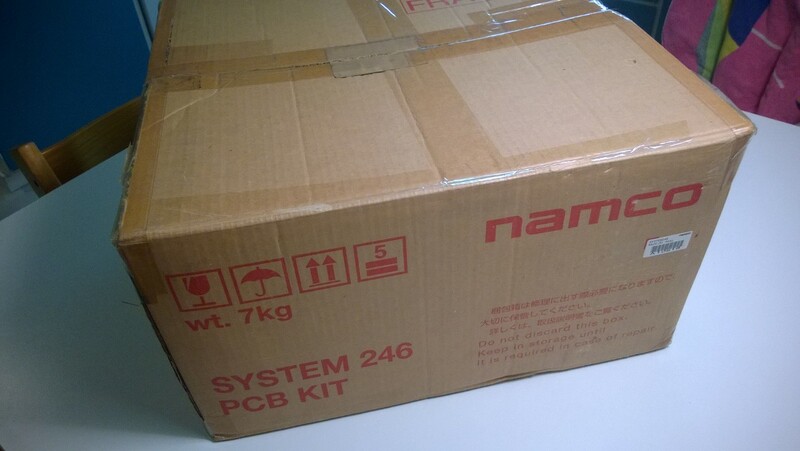 On certain points it was more well designed; fanless (quiet), no PSU (quiet), cartridges (instead of hard drives and USB dongles), a well thought through case (easy to work with). The Type X2, released the year before) on the other hand already had better specs than the ex-BOARD. 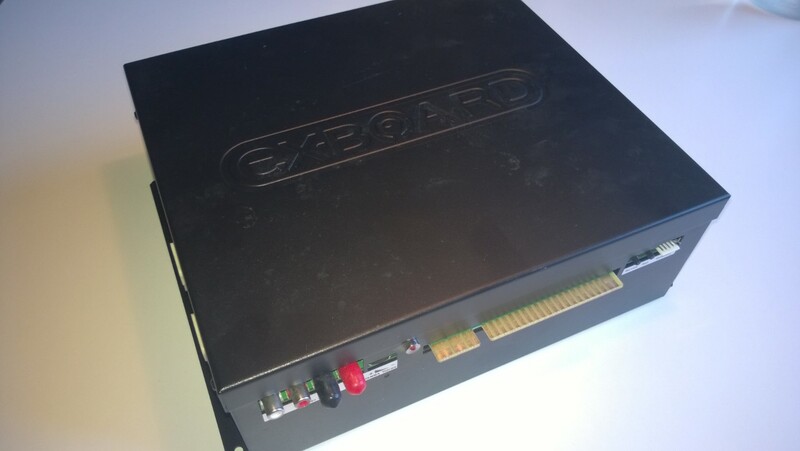 The ex-BOARD relied on copy protection built into the motherboard (as opposed to Type X2’s dongles). This would sadly become the downfall of the ex-BOARD. The protection was way too weak and with Arcana Heart 3 being cracked within days after initial release Examu decided to retire the ex-BOARD and move future releases to Taito’s Type X2 and NESiCAxLive platform. 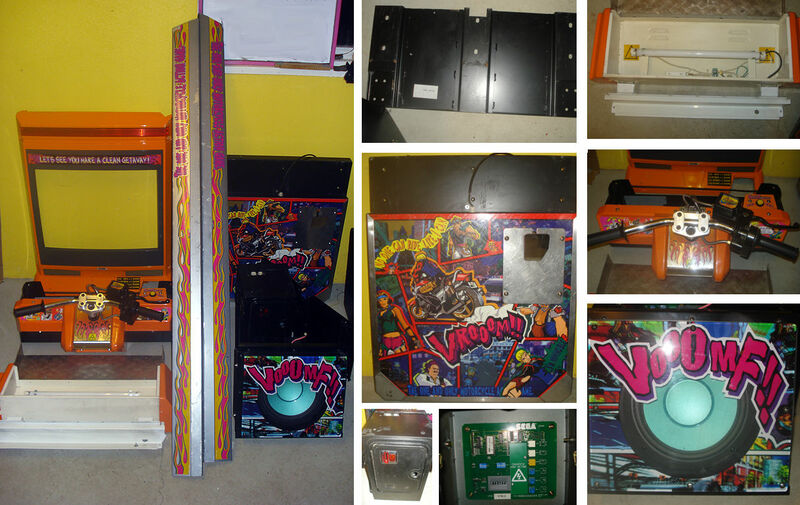 The Taito Type X² was released in 2007 and is a PC/Windows XP based arcade system. The game list is quite extensive and boasts a number of high profile titles from franchises like Street Fighter, Blazblue and King of Fighters. Since the system runs on Windows XP Embedded games are generally built on Direct X. My system is a model 208A. 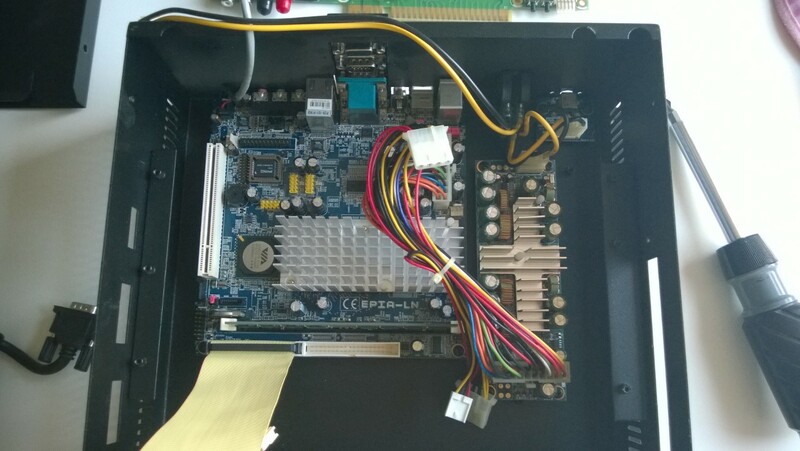 It has the Pentium 4 CPU, 512 MB RAM and a GeForce 7900GS (Elsa Gladiac 979 GS) GPU. On the I/O board there are 5 DIP switches. Switches 1, 3 and 5 apparently doesn’t do anything. DIP #4 enables and disables the automatic update system. If set to on the unit will try to contact an update server over the network. 203 HDD error. Probable solution is to connect the HDD to another Windows XP system and running chkdisk. 900: USB security dongle missing. Most games won’t start without the USB-dongle. A few games don’t use a dongle. 901: USB bus/security dongle error. Sadly this usually means that the USB dongle is corrupt. Not much can be done other than trying to find another dongle. Game list – a list of games with information on support, requirements, compatibility issues etc I’ve compiled on Google Docs. Please feel free to contribute with game data since I neither own all the games nor all the different models. 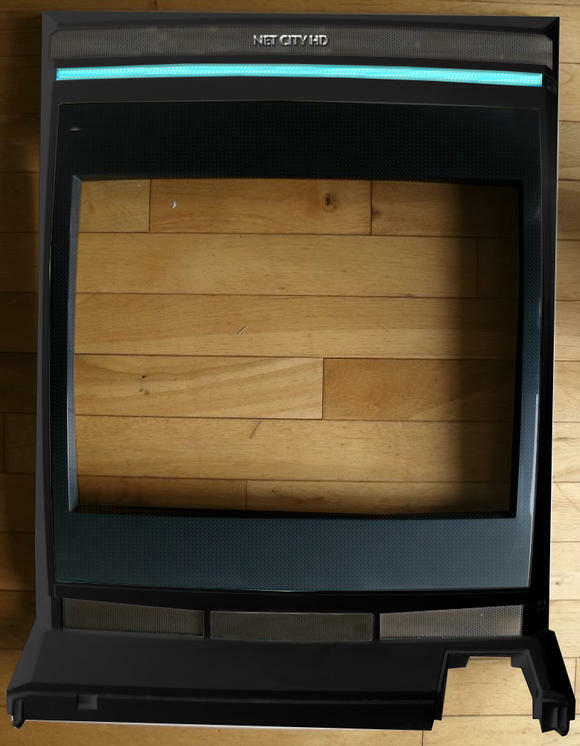 The Sega Chihiro was introduced in 2003. 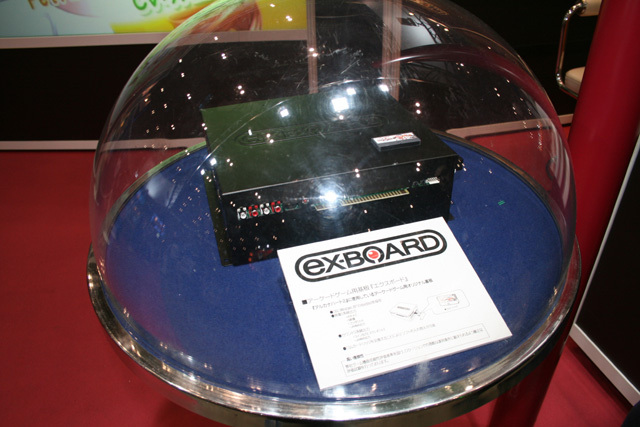 It is based on an early version of Microsoft’s Xbox console. The Chihiro uses an nVidia MCPX2 instead of the MCPX3 found on the Xbox. 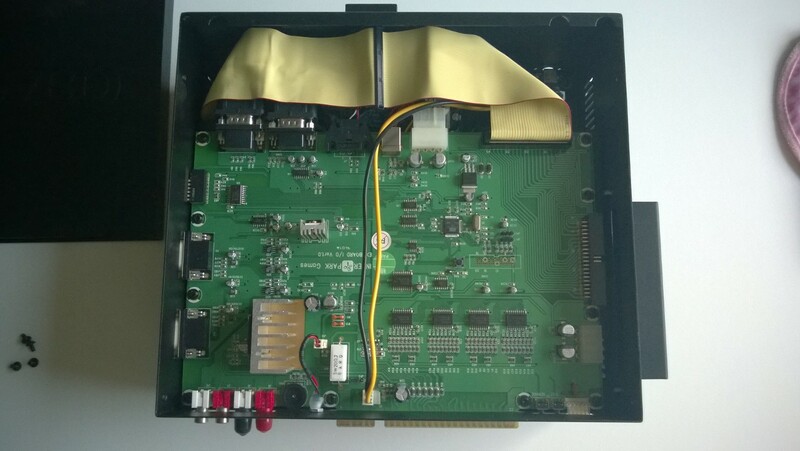 It also has 128 MB (the Xbox has 64 MB) memory and an LCP connector directly on the board. 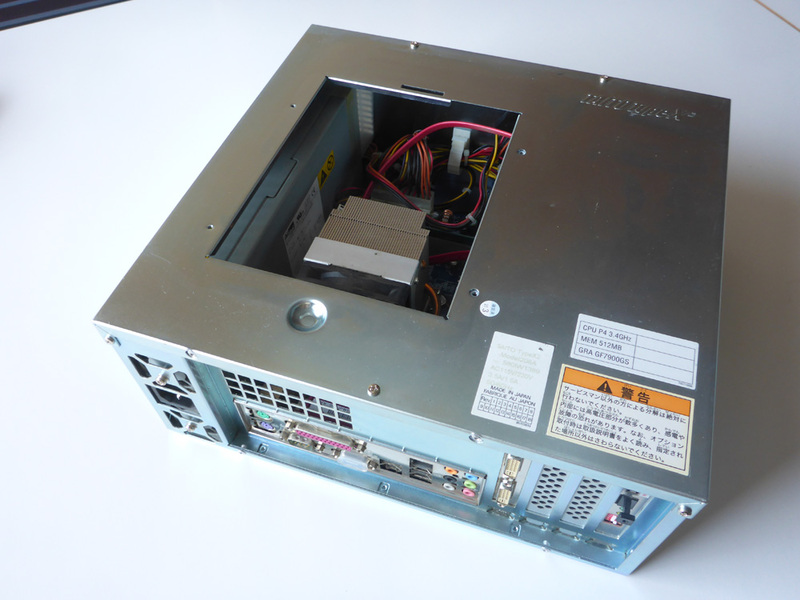 Instead of a DVD drive, the Chihiro (like the Naomi and the Triforce) uses Sega’s own GD-ROM drive. Games can also be loaded from a network server. The games are stored in RAM on the media board (DIMM board). There’s two versions of the Chihiro; Type 1 and Type 3. The main difference being Type 3 having the media board integrated whereas Type 1 uses a regular DIMM board like the Naomi. 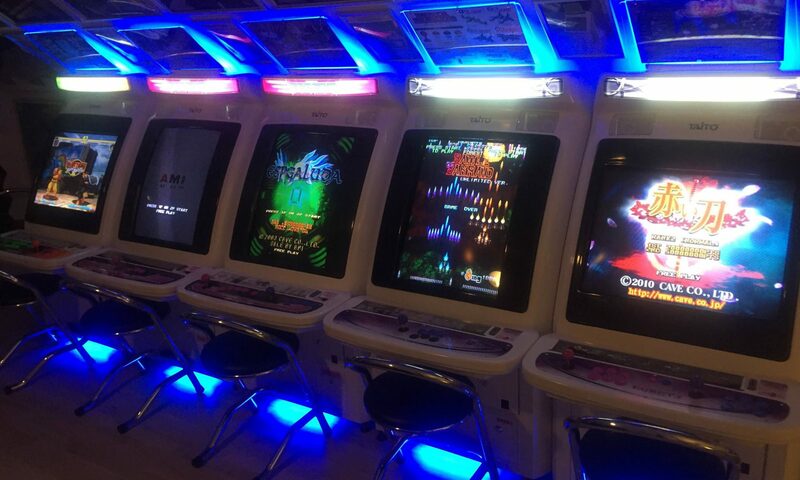 Even though the list of Chihiro games is quite short it boasts a number of popular titles like Outrun 2, Ghost Squad, Virtua Cop 3 and Crazy Taxi High Roller. 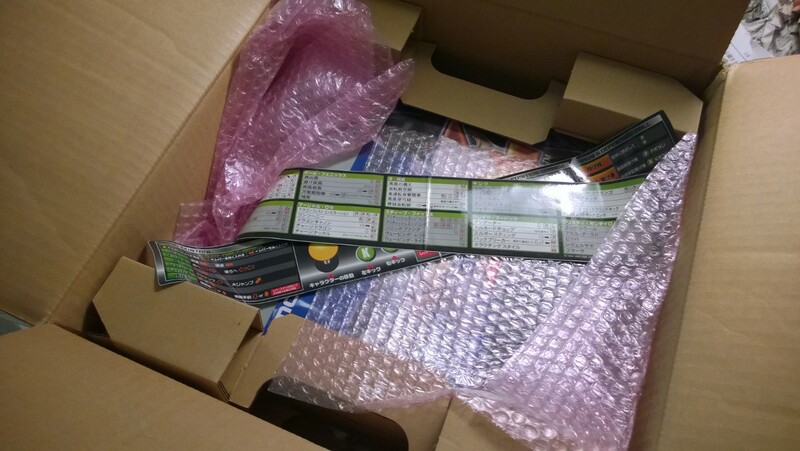 There’s also a number of Chihiro Satellite Terminal games that are widely spread in Asia but never really found their way to the rest of the world; the MJ (mahjong), Sangokushi Taisen and Sega Golf Club franchises to mention a few. 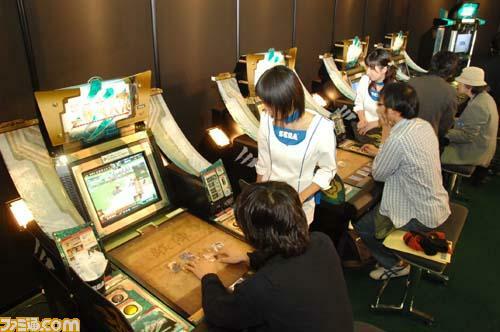 The satellite terminal games use regular Chihiro units linked together over a LAN connection. The Chihiro Type 3 consists of two units. 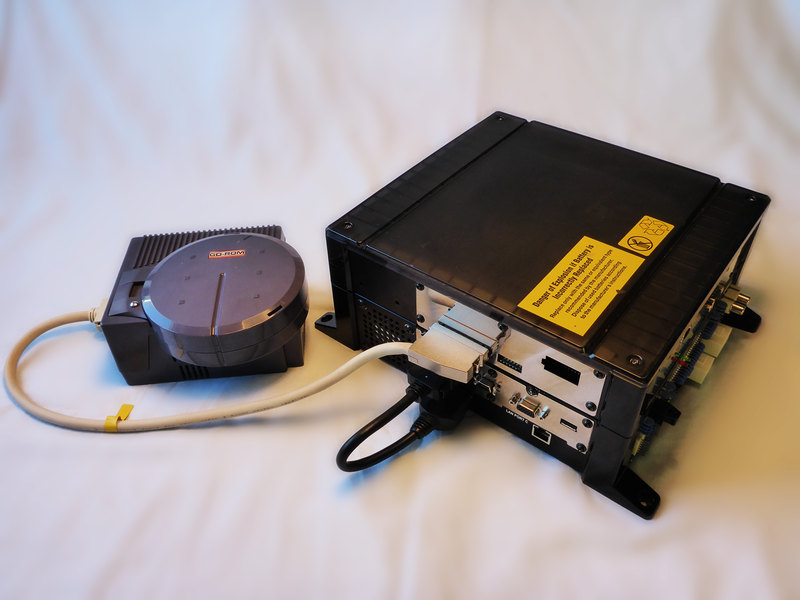 The lower unit contains the Xbox and system boards and the upper contains the media, network and security key boards and a battery for keeping the loaded game in memory when the system is turned off. 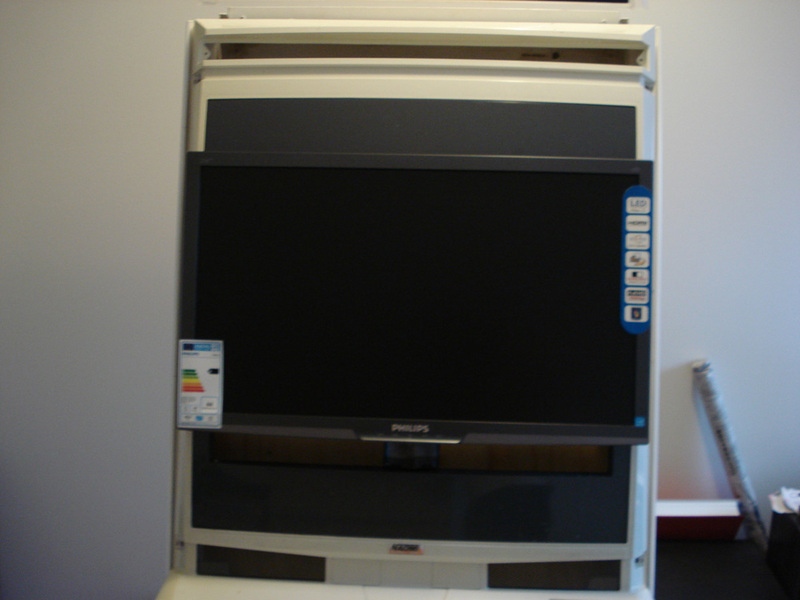 In the upper unit of the Chihiro we find the media board (bottom) and the network board (top). 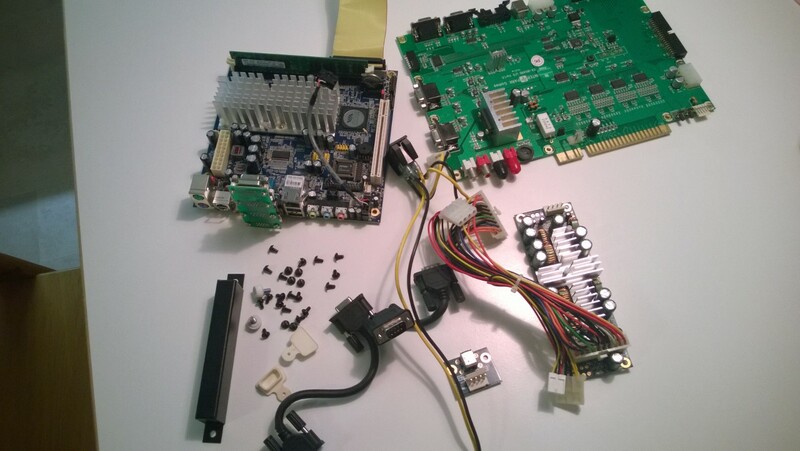 The media board holds the RAM modules; either 512 MB or 1 GB. Most games are available in two versions. 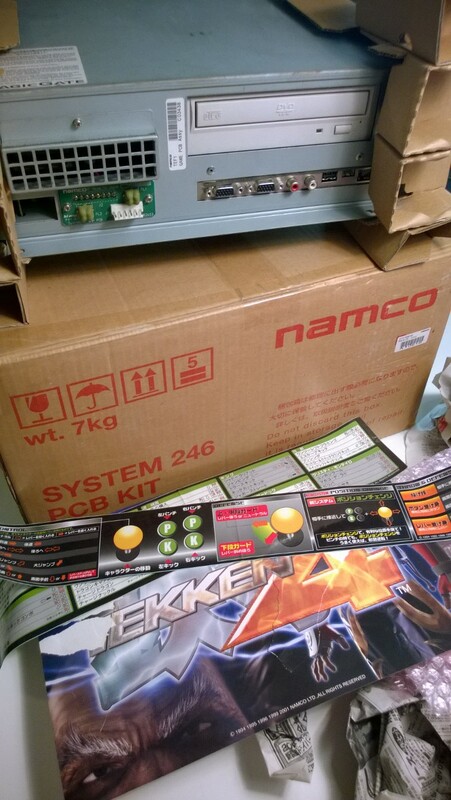 One for 512 MB units and one with (usually) higher definition graphics for 1 GB units. After the game data is loaded the GD-ROM can power down and hence will not wear out as fast as otherwise. The game stays in memory for up to 72 hours while powered off. Faster boot up time once the game data is loaded. Enables netbooting. 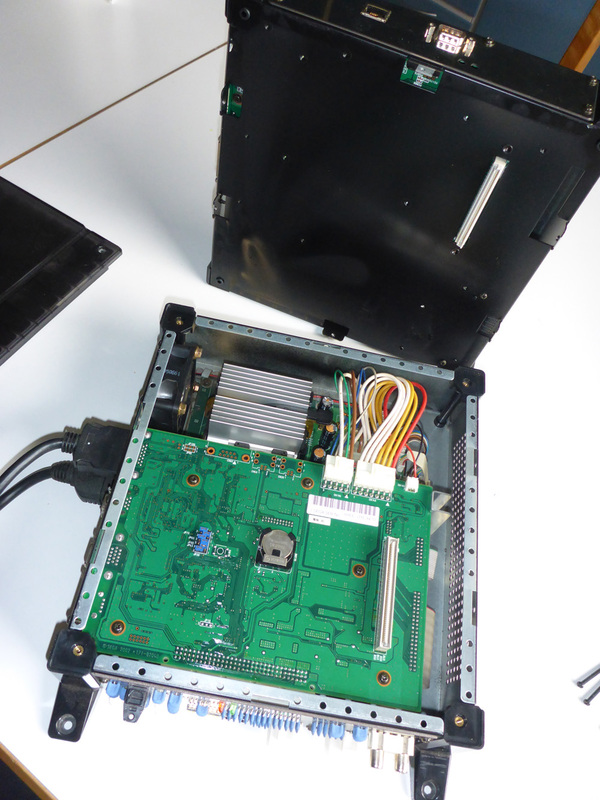 Without storing the game data on the media board the Chihiro would have to constantly read from a game server. While possible the system would have to have been adapted to this. With the media (DIMM) board the hardware/technology was already in place. The small vertical board to the right is for the security key and to the lower left you can spot the battery. The Chihiro won’t operate without a battery installed. The battery is needed for holding the game in memory during reboots and while the system is turned off. On the media board you find a set of jumpers. The ones you have to pay attention to are jumpers 5, 8, 9, and 10. Jumper 5 controls the amount of RAM used and should match the amount of memory installed. 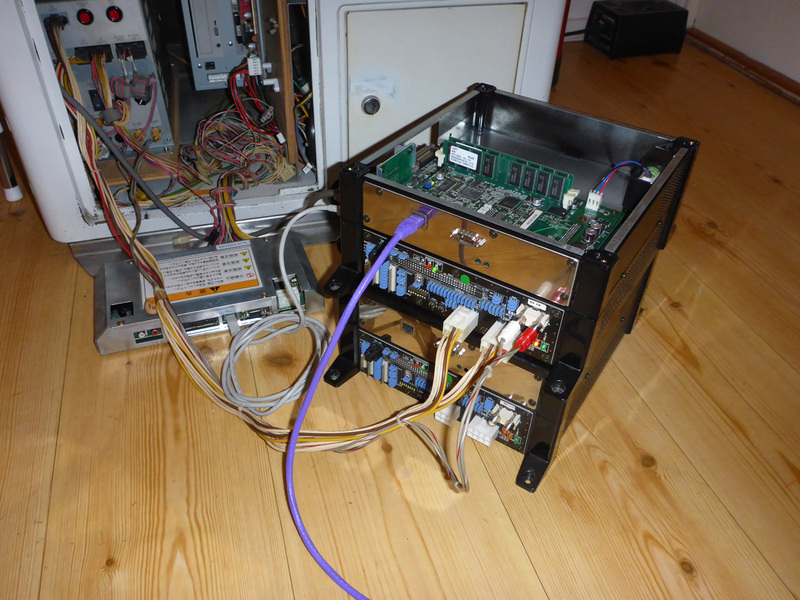 Jumpers 8 – 10 switches between GD-ROM and network boot. Lifting off the top unit reveals the system board. The battery on the system board is for keeping system settings and needs to be changed every now and then. It’s a normal 3V CR2032 button cell. Remove the filter board. 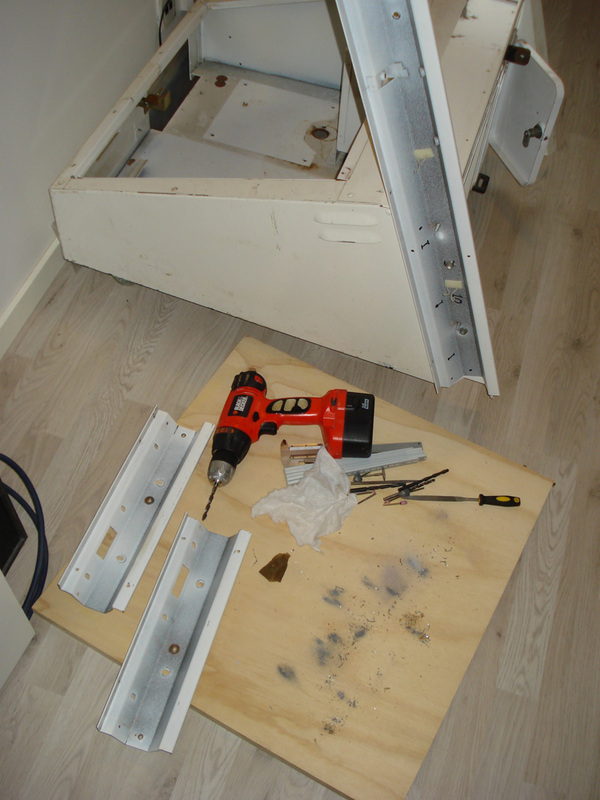 Unscrew the five remaining screws and carefully push the board out. Loosen the two bolts by the VGA connector. In fact it’s advisable to remove the plate around the VGA and USB connectors entirely. Disconnect the three power cables on the side of the board. Unscrew the five screws that keep the board in place. Push the holder (upper right corner of the board in the picture above) aside to release the board. Gently lift up the board and disconnect the four cables connecting the system board to the Xbox board. 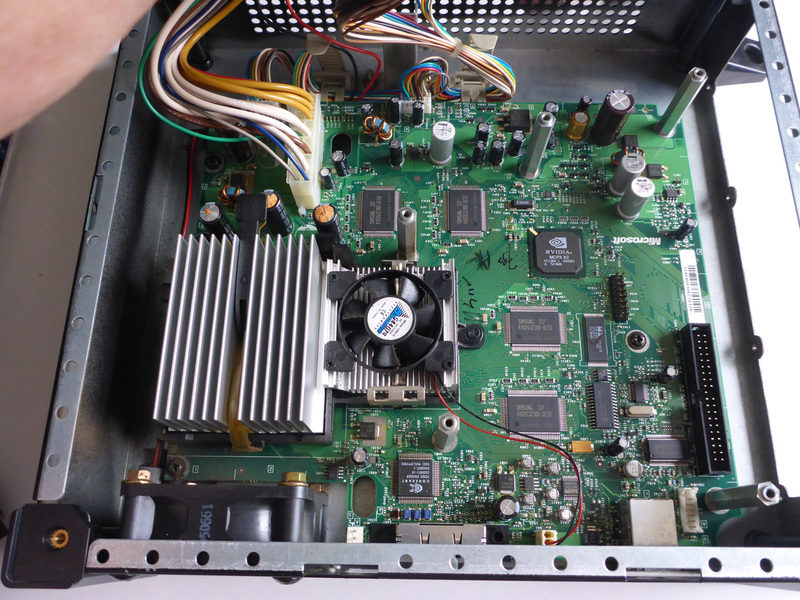 Lifting up the system board reveals the Xbox main board at the bottom. 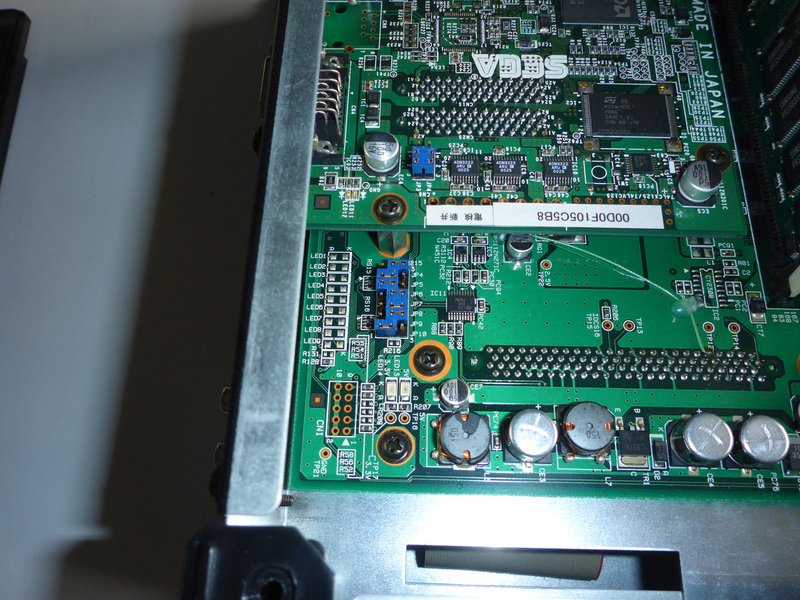 The main thing you have to observe on the Xbox board are the electrolyte capacitors. 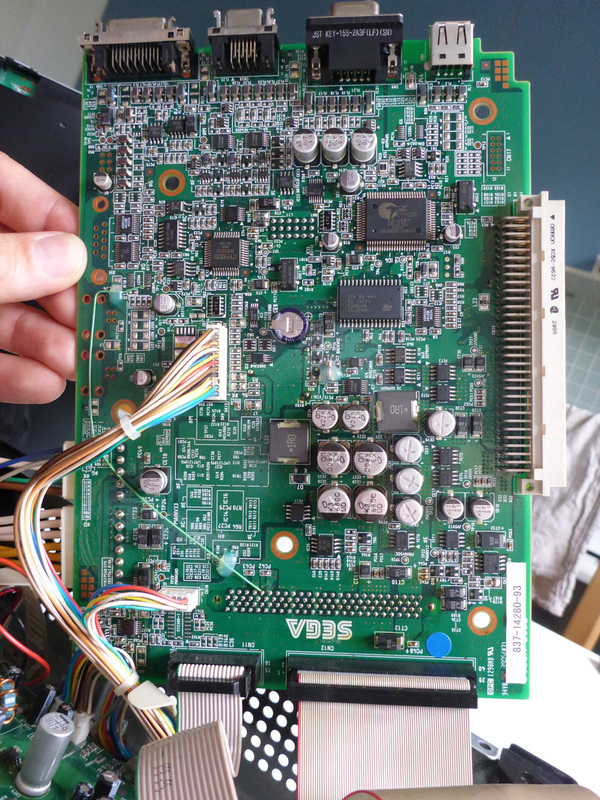 They are prone to leaking (bad/cheap components) and if they do they might corrode and damage the Xbox board beyond repair. 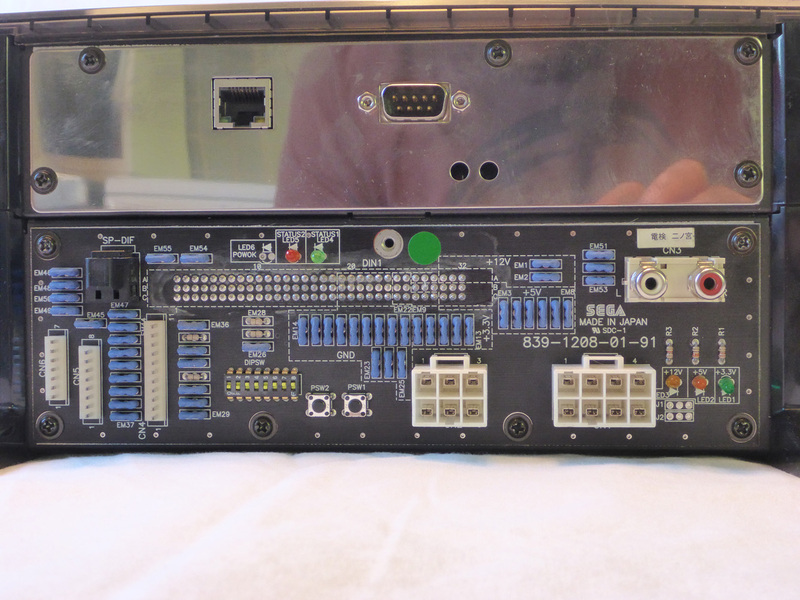 There’s at least two different versions of the Xbox board; one with three capacitors next to the GPU and one with five. 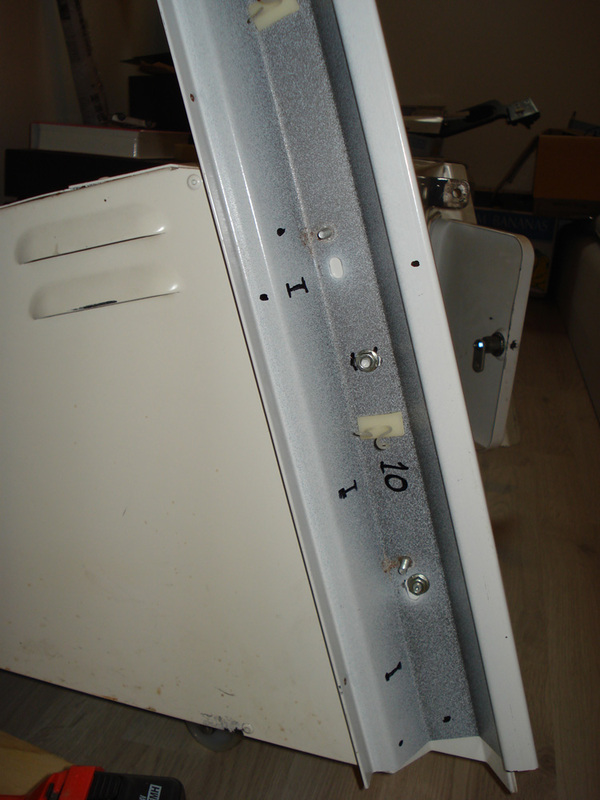 The board in the picture is the three cap version and as you can see they have started to leak and need to be replaced. I had two units over for check up and testing. 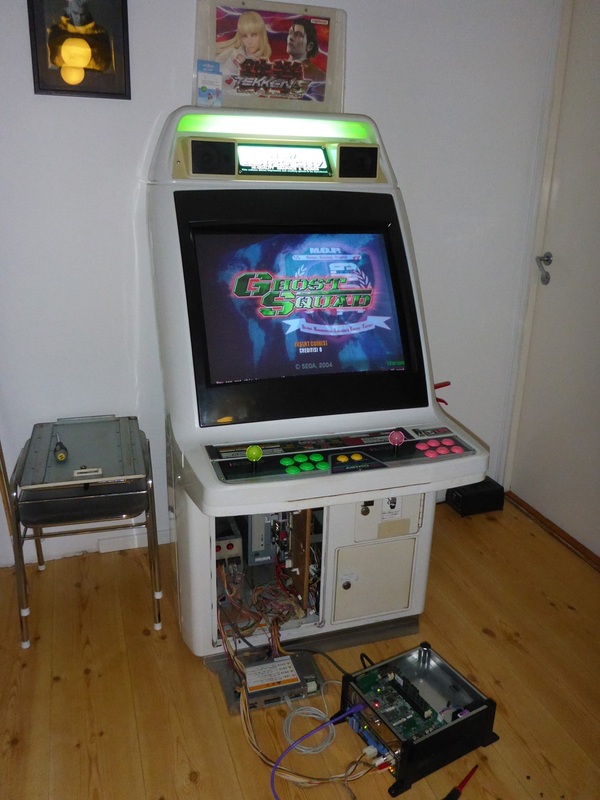 Since all Chihiro games require special type controls (steering wheels, guns etc) and most of them won’t even boot up on anything but JVS hardware and I only have a JAMMA cabinet it took a little trial and error until I found out Ghost Squad version: A indeed boots fine without it’s gun controls or a JVS I/O card. On the filter board there is a green and a red status LED. Only the green should be on for normal operation. If they both blink something’s wrong with the unit. Thank you for reading. 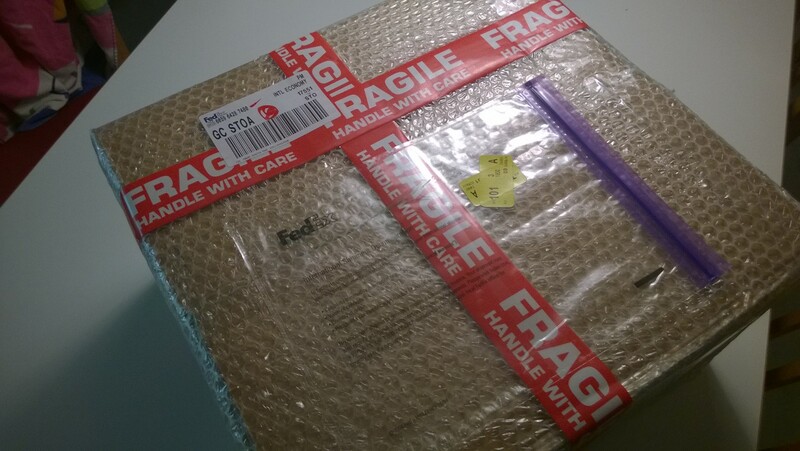 Hope you enjoyed the post. Let me know what you think.